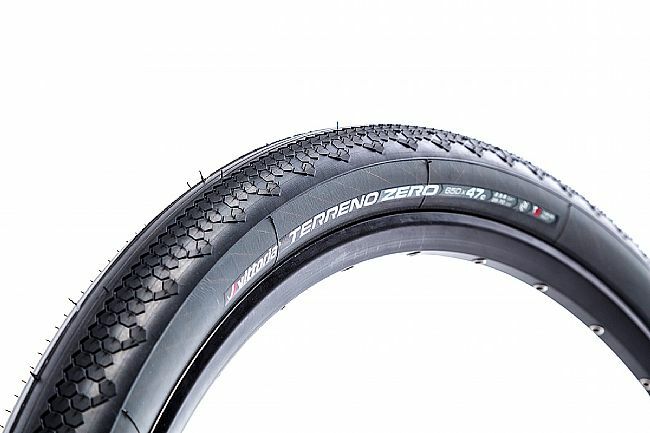 The Vittoria Terreno Zero Gravel Tire is a new addition to the Terreno line of cyclocross tires. The Zero features the staples of the Terreno line, adapted for use in gravel conditions. A slick center tread transitions to hexagonal knobs and scales for optimal grip and traction. This particular tread is designed to attack paved and hard-pack gravel surfaces. With Vittoria's Graphene compound delivers optimal rolling resistance, grip, and durability, while the TNT tubeless-ready casing is the obvious choice for racers demanding race-day dependability. The reinforced 120 tpi casing means ultimate puncture protection for negligible weight gain. 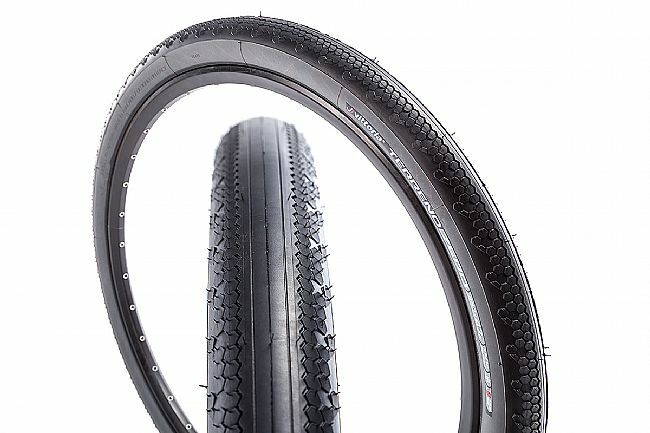 The Vittoria Terreno Zero Gravel tire is available in one width: 47mm. Graphene + Rubber compound. TNT Tubeless-ready casing. Also available in 700c size. Latest entry in Terreno line of cyclocross tires. Zero is adapted specifically to paved and hard-pack gravel conditions. Fast-rolling central tread with hexagonal knobs. Graphene+ Rubber compound delivers optimal grip, exceptionally low rolling resistance, and improved durability.